No. 8, Jalan Meranti Jaya 8, Meranti Jaya Industrial Park, 47120 Puchong, Selangor, Malaysia. The company Duro Pack (M) Sdn.Bhd. has long held a leadership position in food and non-food packaging. The company has been in the packaging business More than 10 years Experience. 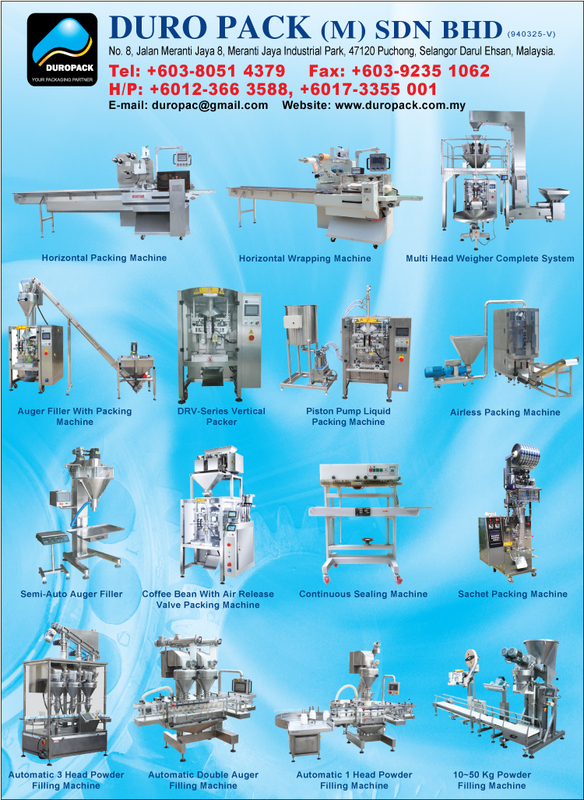 Reaching beyond that tradition, new Duro Pack equipment has been designed to meet the needs of our target industries including food, snacks, baked goods, frozen foods, dairy, cheese, non-food, chemicals, pet food and contract packagers. Our product range even covers special applications in the dairy industry.